This haiku is one that leaves me in silence. On the most literal level, Natsume Soseki is giving us the image of a lamp going out. 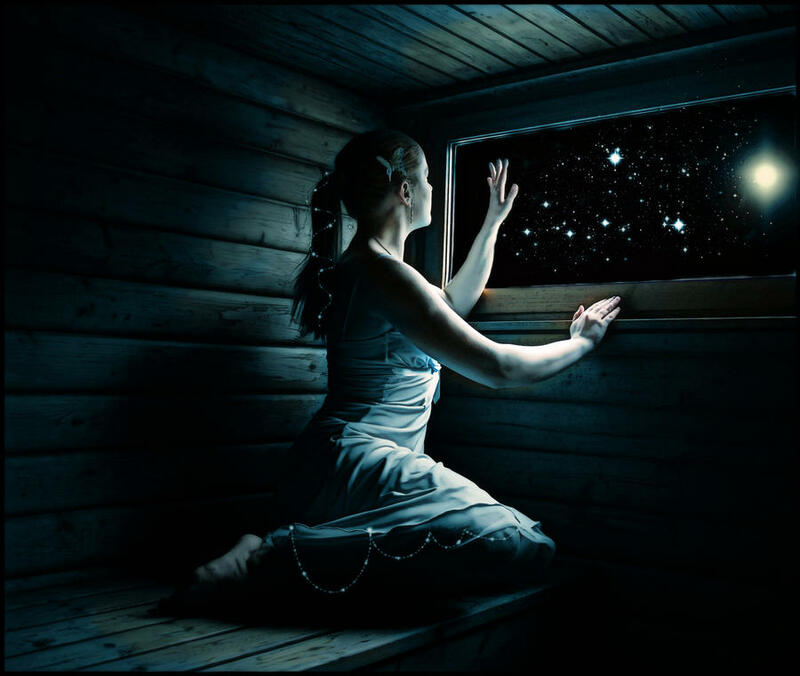 When that strong, close light is no longer there, our eyes can then see the stars in the night sky through the window. Just three lines are enough to give us that beautiful moment. Have a beautiful day… and a clear night! Natsume Soseki is probably best known as a novelist, sometimes referred to as the Charles Dickens of Japan. He wrote stories with both humanity and an unflinching eye. But he was also a teacher, a cultural critic, a Zen practitioner, and an author of haiku. Soseki was born in Tokyo and graduated from Tokyo University. He then became a middle school and high school teacher of English language and literature. In the early 1900’s several of his stories were published in serialized form in magazines, establishing his career as a writer. Around this time, Soseki also started showing signs of tuberculosis, an illness he never fully shook off. To cope with his illness, Soseki began to practice Zen meditation. Natsume Soseki died at the age of 49.
and his life but your comments on it as Well. for bringing sacred poetry to me from around the world! So few words conveying so much from Natsume Soseki. I am drawn to look up his writing and read more. I like your interpretations, too, Ivan. Yes, when the light of our ego diminishes we see more. hermitage out here on Long Island. Literally looking out into the dark at the moon and the stars slowly emerging– and on an inner level when I let go of my push to “find answers” — being opened to the Presence of God already there– lightening me up. It is incredible how something as simple as the Natsume Soseki haiku can describe life on different levels. Your interpretation is deep and true. I have just published my first book on Amazon Kindle – written in the form of a fable, in which the same emotion and message I tried to get across. A lot more words. It’s called The Hibiscus solution. Thank you always Ivan for your work – it’s very much appreciated. What is this poem in its original Japanese, if you don’t mind me asking? The source I found this poem in did not include the Japanese original — sorry. Try searching elsewhere online. I would love to see it if you track it down. this isn’t a haiku that follows the 5-7-5 rule.